Glasgow – welcome move on Consultations! 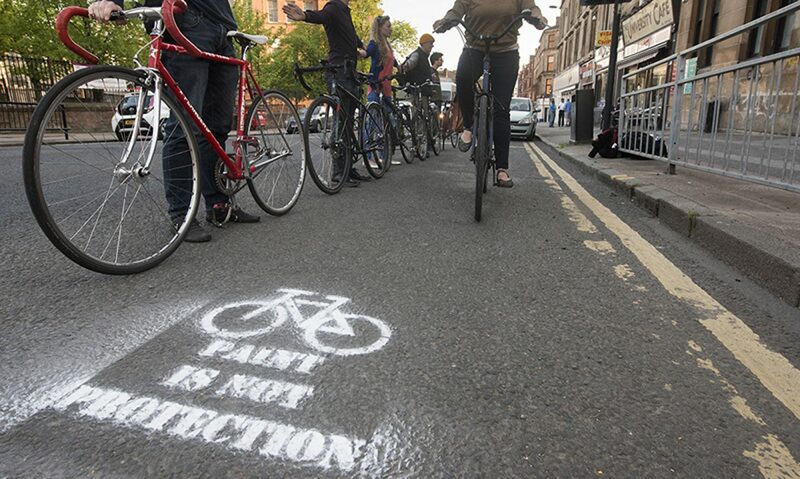 On Monday 31 August (apologies for the delay in putting this out) Glasgow City Council held their first ever Walk In Session for invitees from their cycling contacts to view and informally comment on some project proposals before release for public consultation. 1. Victoria Road, where two options are currently being considered. The first, our preferred option, is for a cycle lane on each side of the road, and the second is for two-way cycle lane on one side of the road. Both options would have the cycle lane(s) segregated and include cycle parking. 2. Cardonald Quietway: this is a proposal for a cycle route from Linthaugh Road over the bridge into Moulin Circus and then Cardonald Place Road, with a contraflow at the north end to allow a direct crossing over Paisley Road West into Tweedsmuir Road. From here the route goes along Allanton Drive, crosses Kingsland Drive to Ladykirk Drive and then a right turn into Queensland Drive from where it takes the path to cross over the railway and motorway towards the new hospital. 3. Queens Park – Muirend: this route would leave Queens Park with a zebra crossing – remember them?, but presumably legalised for cycle use – on Langside Avenue into Tantallon Road and then turn right into Langside Drive. New ASLs are proposed for the junction with Merrylee Road, a narrowing of Laggan Road where it meets Langside Drive is proposed and there will be changes to the roundabout to better facilitate cycle access to and from Muirend Road. The two latter schemes include changes to parking, the introduction of cycle lanes, albeit advisory, adjustments to junctions and the painting of cycle logos on the road surface – all these measures designed to make the roads concerned more cycle, and pedestrian friendly. It was good to get an explanation of the proposals from the staff involved and to have the chance to comment. We expect the consultations to be published early next month.